IS YOUR SMALL BUSINESS DATA SECURE? DON’T WAIT TO FIND OUT. On the back of several high-profile data breaches in recent years, Cybersecurity is increasingly top of mind for executives as well as customers. Hackers are targeting organizations of all sizes with increasing sophistication and persistence. As the risk grows, what is being done? 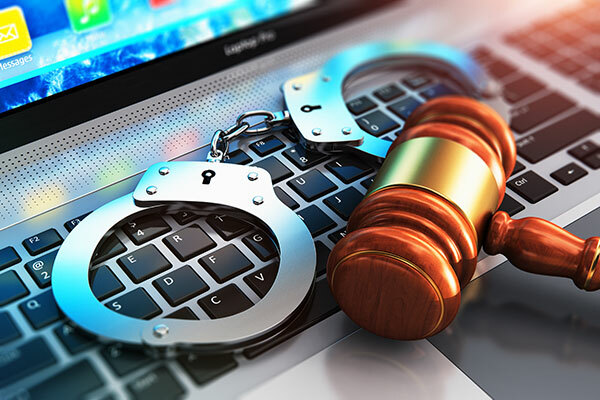 Criminal networks are devoting an increasing proportion of their time and attention to Cybercrime because it’s easier and more lucrative than more traditional types of crime, and harder to get caught. Worryingly, businesses seem to be inclined to take a reactive rather than proactive approach. While 99.8% of Canadian companies fall into the category of small or medium-sized businesses (SMBs), and 43% of Cyberattacks specifically target them, 90% do not have cyber insurance. Costs per incident run from the tens of thousands of dollars in smaller companies, to millions for larger, better-known organizations. Recent research into the topic of Cybersecurity has highlighted the need for improved focus on personnel training and specialized IT staff. Small businesses spend comparatively less on Cybersecurity, and the impact of Cybercrime on them tends to be more severe when it does happen: many small businesses which have been hacked go out of business shortly after (estimated at 60%) because they are simply unable to deal with the financial and reputational cost. Typically, an organization’s Cybersecurity budget is a proportion of their IT budget (often around 10%). Most organizations spend more on Cybersecurity after an attack, but mostly on technology such as firewalls and anti-malware software rather than personnel training and governance. Larger organizations seem to take the problem more seriously, but they also tend to be more frequent targets of attacks due to the bigger payoff. While important, technological safeguards do not address the entire spectrum of cyber risk. Phishing attacks are becoming increasingly sophisticated, and tend to target front-line employees who may be unprepared if they have not received appropriate Cybersecurity training. Employee access to data is itself a risk that organizations need to actively manage: for example, a USB flash drive left in the open with sensitive data on it can present a golden opportunity to the unscrupulous. Failure to safeguard against Cyberattacks can injure more than just a company’s financial position; the very survival of an organization can be threatened. A successful Cybersecurity strategy will involve adequate spending on training, governance and internal processes to reduce risk as well as technology, and a comprehensive insurance plan to address risks which cannot be adequately reduced or managed. Front Row Insurance offers a solution called Hackinsure which is designed to provide additional protection for your business against emerging threats in the area of Cybersecurity. First-party cyber liability, which covers the cost of actions taken to “make right” a Cyberattack for your customers—things such as notifying clients, purchasing credit monitoring services for affected parties, and PR efforts related to the attack. Data Breach coverage, which protects against destruction or loss of digital data resulting from a criminal or fraudulent cyber event. Extortion & Ransomware, which covers costs associated with investigating threats of Cyberattack, and payments to those who threaten to obtain and disclose sensitive information. Business Interruption: Provides coverage for lost income which is due to a Cyberattack or data loss event. In this technological age, no business is immune to Cybersecurity risks, and the costs of a breach can be crippling. Hackinsure policies from Front Row begin at $300. Contact us today. What does the new federal mandatory data breach notification law mean for your small business? The new law, The Digital Privacy Act, went into effect on Nov 1, 2018, and applies to all businesses that hold identifying information of employees, customers, members, or vendors. In the case of a breach, business owners are required to notify the affected individuals as well as the Office of the Privacy Commissioner of Canada. It’s easy to think that these risks and responsibilities only apply to large businesses, but in fact ‘personal information’ can include something as small as an email address as well as credit card details. As the skills of hackers have grown, it’s become an important part of business management to understand and mitigate the risks in the digital world, no matter the size of the company. Research shows that roughly 30% of small businesses have been targeted by hackers because their online security is often not as robust as that of a large corporation. 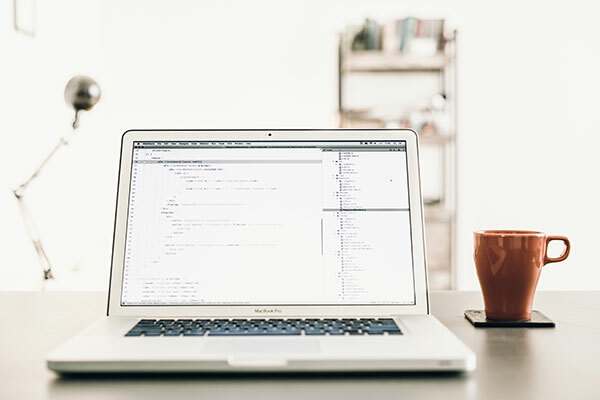 Apart from reputational damage, which can ruin small businesses, there can be significant costs associated with fixing the breach after legal bills are paid, IT professionals hired, and staff time accounted for as they divert from their normal duties to attend to the crisis. 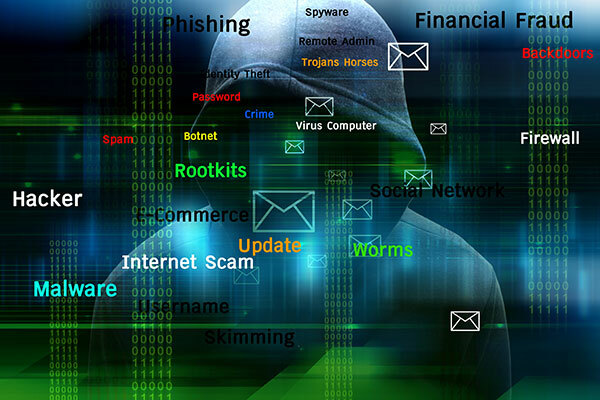 What can a small business owner do to protect his/her business from cyber hackers? Front Row Insurance Brokers provides cheap online cyber insurance coverage that protects against hacking, theft, fraud, business interruption, and legal, technical, or forensic services. Hackinsure starts from only $300 annually and takes about 5 minutes to get your policy. https://hackinsure.frontrowinsurance.com. Front Row has also put together a number of helpful tips for small business owners to help limit the risk of a cyber attack. Check out the blog post at https://www.frontrowinsurance.com/articles/topic/cyber-insurance for ideas that should be applied by all employees. Worried about a cyber attack? Here’s what you need to know. There’s been a lot of buzz in the news lately about cyber attacks on big banks and corporations. Cyber attacks are a topic of concern not only for big businesses, and their customers, but also for the many small and mid sized businesses that make up the fabric of our economy in Canada. In fact, 43 per cent of all cyber attacks happen against small businesses, which means more Canadian consumers are at risk now than ever for having their security compromised by hackers. Also, because small businesses tend to allocate less budget and resources to privacy and security systems, they are the ideal target for hackers. So, where does this leave your business? Well, for starters, you’ll want to ensure you’re protected against the costs and risks associated with a possible cyber attack. Front Row has recently launched an online Hack Insurance product, the first of its kind in Canada, to address this exact need. You can obtain coverage online starting at $300.00. And, like all of Front Row’s online products, you’ll be fully insured within a couple of minutes with no need for any meetings, paperwork, or hassle. Developing a password strategy: Using the same password across multiple devices and accounts is the easiest way to compromise security. Once a hacker gets their hands on a password, they can easily use it to compromise employee information as well as customer data, turning a single password breach into millions of dollars in damage. Avoiding collecting or storing payment information: Outsource payment processing and avoid collecting customer payment information such as credit card info on your own. Dedicated security staff have the resources and tools to protect data better than you can. Educating your employees: It might seem like common sense, but it’s not always. Develop a written policy about security and privacy and make sure employees are on board and understand their responsibility to protect any confidential data. No business is “too small” for a hacker - the better prepared you are, the less at risk you are. And, of course, purchasing hack insurance: 90% of small businesses do not currently have cyber insurance. You need to know that your business will be protected against any security breaches. Our new product provides this protection. You can get insured online in a couple of minutes by clicking here. If you’re looking for tips or advice on Hack Insurance, or any other insurance needs, our team is always available to chat! You can connect with us on Facebook, Instagram or give us a call at the office nearest you! Front Row was interviewed by Insurance Business Canada as expert providers of online cyber insurance. Spend less and protect your business against cyber risk with online cyber security insurance. Front Row Insurance Brokers now offers a small or medium-business cyber insurance policy so you pay only for what your business needs. No overselling, and no losses is a “no-brainer”. Approximately 99.8% of Canadian companies are considered small or medium-sized businesses (SMBs), employing 64% of private sector workers in Canada. The impact of SMBs on the Canadian economy is huge, and yet many smaller businesses struggle to protect themselves adequately against financial loss. The complex realm of cyber insurance is an area where small business understanding falls short. Statistics suggest about 43% of all cyberattacks target small businesses and yet 90% of small businesses do not have cyber insurance. This common coverage gap is a top-of-mind issue for insurers around the world, with many suggesting educational and awareness campaigns as the key fix. But what if the cyber insurance products in the market are the real problem here? What if small business owners can’t identify a product that they think meets their needs, budget and service expectations? Vancouver-based Front Row Insurance recently launched a cyber product aimed specifically at the small business owner. It’s a fully-automated online policy, written by Chubb, which is very low touch and has even lower limits. The starter limit is $100,000, which can be purchased at a premium of $300, and the maximum limit is $1 million. The policy can be obtained online in just two or three minutes. So far, responses to the policy, which launched in April, have been positive. 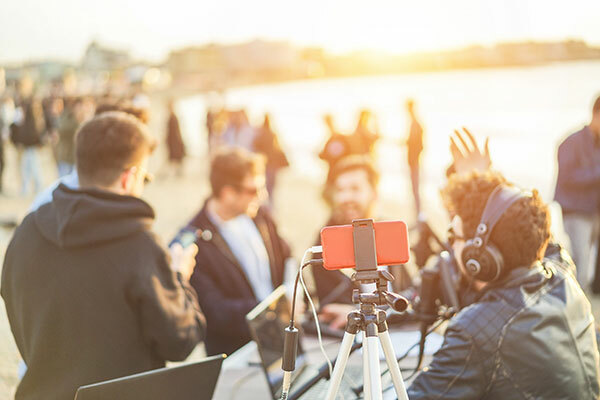 It has drawn particular interest from younger gig economy workers who are looking to bypass intermediaries and conduct business at any time of day when they can grasp a few spare moments. The online solution includes step-by-step tips and explanation points to help customers through the buying process. “Take the example of the graphic designer. The Graphic Designers of Canada association has around 3,700 members, every one of whom should have a cyber policy. Why? If you’re a graphic designer and you’re taking business material from a client in order to design a logo for them, and that material somehow gets exposed due to a cyber incident, your client may sue you for not protecting that material,” Hamilton explained. If you take into account the fact that more than 50% of small businesses go out of business within six months of a cyberattack, suddenly the $300 premium for the sole graphic designer doesn’t seem like a bad investment, according to Hamilton. The Front Row cyber insurance policy could also be “the perfect solution” for brokers, according to Hamilton. Any broker can access the policy online and can surcharge it with a small fee. They don’t have to submit anything to an insurance carrier and they can transact business in less than 10 minutes. About: Front Row Insurance Brokers Inc. is an independent insurance broker that provides office renters insurance for the lowest possible cost. Should a claim occur, Front Row ensures that business rental insurance client receives the money they are owed per the office insurance policy, as quickly as possible. Front Row has offices in Vancouver, Toronto, Montreal and Halifax. Is Your Business Prepared for the Consequences of a Cyber Attack? 1. Cyber lawsuits often have negative effects on a company’s relationship with its customers. If their private information was stolen during the breach, they may not feel comfortable doing business with you again in the future. 2. Due to the recent rise in cyber hack attacks on small businesses, customers and third-party partners may request that you have this type of insurance coverage before doing business with you. In fact, studies have found that only 50% of consumers feel that businesses are taking the appropriate measures, to safeguard themselves from cyber attacks. Protect your small business by purchasing Cyber Liability coverage online. Obtain a quote in 2 minutes and a policy in 5 minutes 24/7 with no need to talk to a broker. Custom online Cyber Insurance starting at just $250. 90% of small businesses in Canada do not have Cyberinsurance. You have seen the news: Sony, Target, Home Depot……. An affordable, fast cyber policy is now available for you to purchase in minutes. 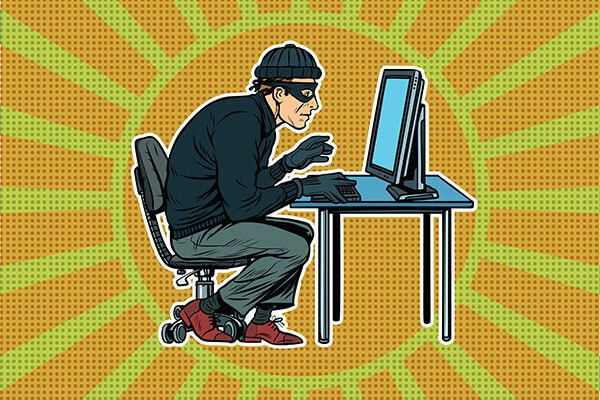 Theft and fraud: Covers destruction or loss of digital data as the result of a criminal or fraudulent cyber event. Business interruption: Covers lost income and related costs where a you are unable to conduct business due to a cyber event or data loss. Extortion: Provides coverage for the costs associated with the investigation of threats to commit cyber attacks against your systems; and payments to extortionists who threaten to obtain and disclose sensitive information! Forensic investigation: Covers the legal, technical or forensic services necessary to assess whether a cyber-attack has occurred, to assess the impact of the attack and to stop an attack. Who should buy this policy? If your company operates under the assumption that data security breaches and privacy losses only happen to billion-dollar companies, it’s time to change your thinking—before it’s too late. Hack insurance for graphic designers is designed to protect from certain losses associated with data breaches and hacks. After a hack there are costs you will incur such as: notifying your customers that their information provide to you may have been stolen; paying to restore or recover the stolen data; having to redo design ideas such as logos since they are no longer confidential. Hack insurance is extra important for graphic designers who rely so much on computers and tech for their business. Hackers are becoming smarter, making it tougher for graphic designers to defend themselves from a data breach. If a cyber attacker is able to gain access to your computer, network or other electronic system, they may be able to steal client information, employee information, accounting information and other valuable data from you. Hack insurance can help with expenses associated with managing the hack such as incident response expenses and data recovery expenses. A hacker gains access to your information including customer information, and threatens to sell or disclose it. A hacker threatens to place a virus into your company’s computer system. As a graphic designer you are at risk. The cost to transfer the risk to insurance is low compared to the expense of an actual hack. Obtain a quote in 2 minutes and a policy in 5 minutes 24/7 with no need to talk to a broker. 90% of small businesses in Canada do not have Cyberinsurance: take five minutes to protect your studio that has taken you so long to establish.